R&R Payroll in Temecula, CA brings you blogs on payroll. R&R Payroll in Temecula, CA brings you blogs on payroll, filing requirements, tax laws, medical plans and bookkeeping to keep you informed. We encourage you to visit our website regularly for more updates. Workers Comp got you down? Nobody loves to write that check come the end of the workers comp policy period. If you are still estimating your payroll for workers comp you will either owe at the end or pay too much and have to wait for that refund check. There is another way to pay what you owe and ONLY what you owe. R&R Payroll Services has partnered with several Workers Comp providers to offer pay as you go workers comp coverage. R&R Payroll includes reporting of payroll as part of our processing fees. There are no extra "reporting fees" for Workers Comp reporting. The risks involved in processing payroll in-house far outweigh the perceived savings for small to medium businesses. The assumption may be they are saving money by not outsourcing. 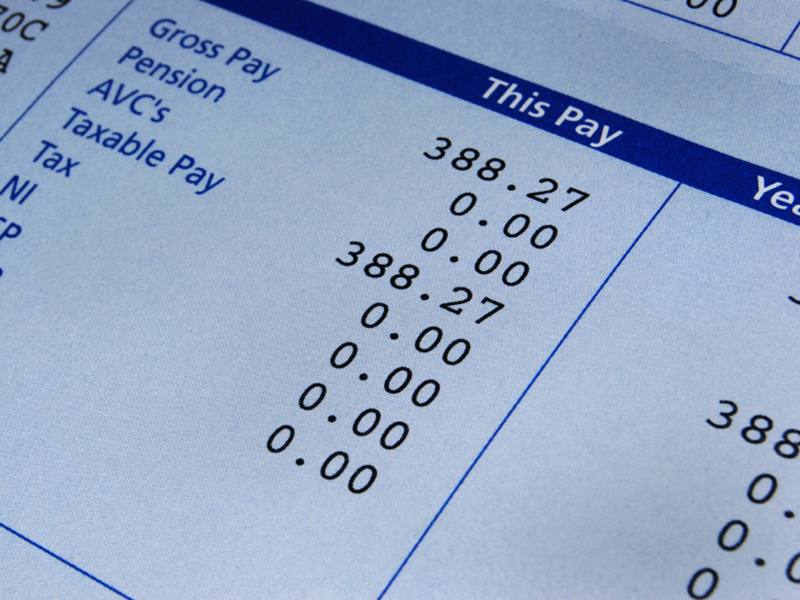 However, the hours paid to an in-house employee to not only process the payroll but to prepare, proof, and file quarterly and annual reports, schedule tax liability payments and to research and respond to garnishment notices as well as tracking and monitoring of benefit payments whether paid by employers, employees or any combination represents significant cost in labor. The larger cost of in-house payroll processing stems from inaccuracies in reports and late scheduling of payroll tax deposits which result in penalties and interest that can cost thousands of dollars. SUI is an employer-only payroll tax which is adjusted every year based on the amount of unemployment claims and the general health of the unemployment insurance fund. The more turnover you have, the larger number of unemployment claims you will experience. These payments to ex-employees are deducted from what SUI taxes the employer has previously paid into the company’s reserve account. The more turnover, the less remains in this reserve account. California is in trouble financially. Employees are seeing their SUI tax rates climb a lot quicker than in previous years. In addition, “Emergency Insolvency Needs” are adding to the increase of SUI rates. Employers have a direct effect on their SUI rates. New employers are currently assigned a 3.4% SUI tax rate when starting their business. The current cap on this tax rate is 6.2%. Due to the insolvency of the California Unemployment System, I believe there is no doubt that the state will find a way to increase the current cap. Protect your SUI rate! Don’t hire employees simply because they can fog a mirror. Retention is more important than ever. Choose your new hires wisely. No one likes to see IRS or EDD envelopes come in the mail. Oftentimes, business owners set them aside to open later when they’re “in a better frame of mind.” When they finally open the notice, what they are reading may not make sense. Here is a typical scenario of an “I don’t owe that!” reaction and the results. For new employers, the IRS and EDD will note the quarter that payroll started and almost always will send an inquiry about the year or quarter prior to beginning payroll and request reports for prior periods. Oftentimes, employers will think, “I had no payroll that quarter” and throw the notice in the ubiquitous round file. If no response is received by the IRS and EDD, they will then estimate (aim high) the amount of taxes that would be due on a normal quarter and demand payment for the period of time preceding your payroll actually starting. The term to look for at this point would be an assessment has been made. This is a critical moment for your company’s bank account. If no response is given to EDD and IRS at this point, the much-dreaded Intent to Levy notice is next. California has become lightning quick at grabbing the money, as they of course need the extra cash very badly. A simple response to the first inquiry is the key. Throw the notice away and your money goes right with it. Other important notices to pay attention to include: Unemployment Claim Notifications, SUI Rate Change Notifications, and Payroll Tax Deposit Change Notifications. For unemployment notices, the EDD will automatically approve the claim if the employer does not respond within 10 days of the date the notice was mailed. Many employers mistakenly think they have 10 days from receiving this notice to respond. Don’t stack up your notices into neat little piles. Open them right away. Delays in response will cost you one way or another. Do you have independent contractors who only work with your business? Do they work at your company location? Do you tell them what, when and how to work? Do you provide the tools for their work? If the answer to any two of the questions above is ‘yes,’ the IRS and EDD consider these workers to be your employees. Avoid massive penalties and interest charges. Reclassify your people correctly. Managing compensation and processing payroll for a - organization is very different than for a for-profit company; R&R Payroll has the specialized knowledge of the different laws and standards that apply. We have several years' experience in non-profit payrolls and realize that our clients need advice and service, not just paycheck processing. If you know someone who runs a 501(c)(3) or other non-profit organization, please pass our name along so we can help them get set up in full compliance with state and federal regulations. Call us today for more details on our services or to set up an appointment.